I just love it when a lesson that I’ve planned turns out even better than expected! (For full disclosure– it does not always happen that way. Many times the opposite is true! Maybe someday I will do a “bloopers” blog post.) Today was one of those “better than expected” days. 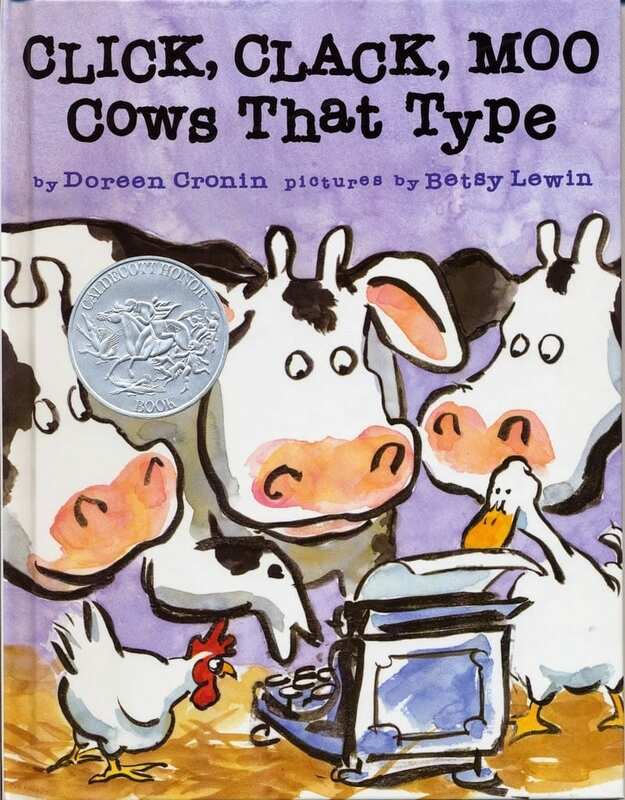 During circle time, we read one of our favorite farm books: Click, Clack, Moo Cows that Type. 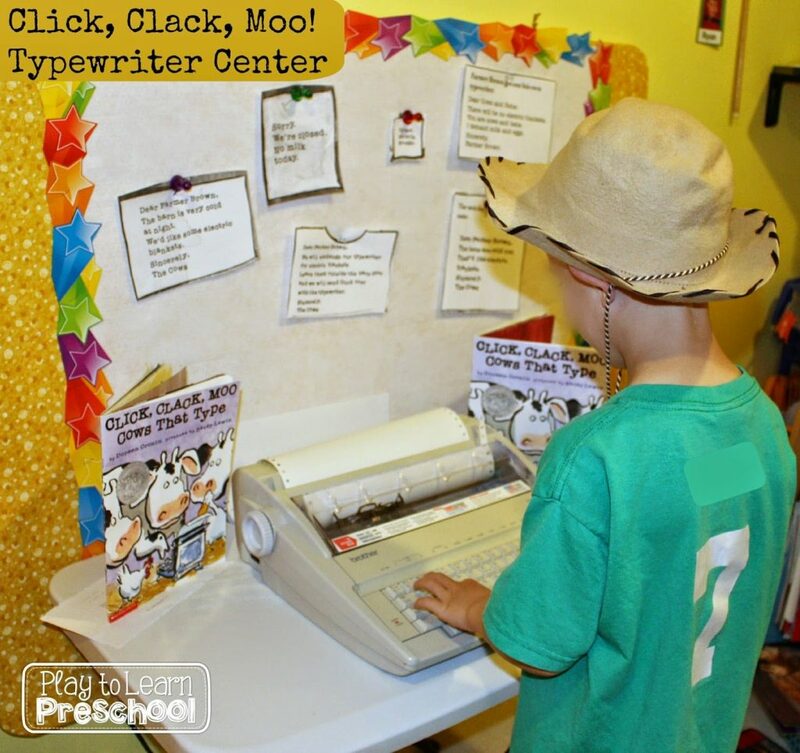 The plan was to set up the typewriter in the writing center and let the students try it out during centers. But, as I was reading the story to the class a thought popped into my head— “Wait a minute!! 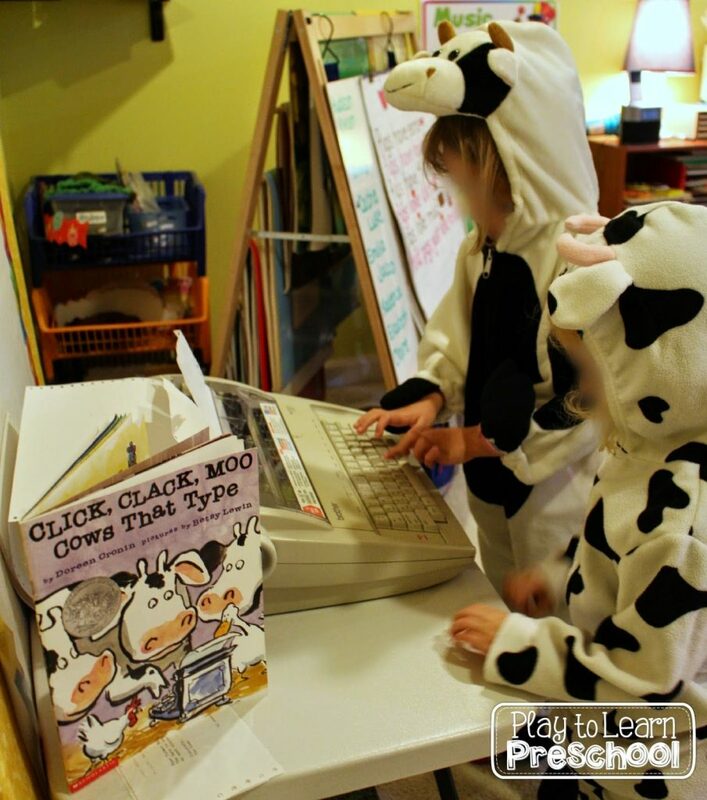 We have cow costumes in our dress up trunk! !” Don’t ask me why I didn’t think of it when I was planning the lesson, but it just never occurred to me. Anyway, my amazing assistant Super-Gemma dove into the storage closet and started rummaging through the trunk to pull out the cow outfits. In the matter of minutes, a simple writing center turned into a full-out retelling of the story! Some students became cows and wrote notes begging for electric blankets. Others put on the farmer hat and scarf and typed Farmer Brown’s “furious” response to the demanding cows! ..and now I need typewrite too!! Love this!